If you were hurt in a Car Accident in Lantana, FL, the chiropractic doctors at our injury center can provide you with the treatment you need to make a full and optimal recovery. We have a team of experienced chiropractors who specialize in treating the victims of car accidents in Lantana, FL. If your accident was caused by a negligent driver, our doctors can also provide you with a personal injury attorney referral so you are not stuck paying the medical bills for your treatment. Our doctors understand the physical and emotional stress that occurs after a vehicle accident, and receiving proper medical care is vital to the recovery process, and your financial well being. All of our Chiropractic Doctors have at least 10 years of experience treating the victims of car accidents, so they know what treatments work best and how to help you recover quickly. All of our doctors keep accurate medical records that will be given to your attorney upon request so you are not stuck paying the bills. If you were injured in a car crash in Lantana, FL, click below to speak with an experienced Car Wreck Doctor for a free consultation today. Car Accidents occur every day in Lantana, FL, leaving thousands of victims in need of medical treatment and chiropractic care. If you want to recover quickly, it is important to seek the help of an experienced car accident injury doctor as soon as possible. 1. 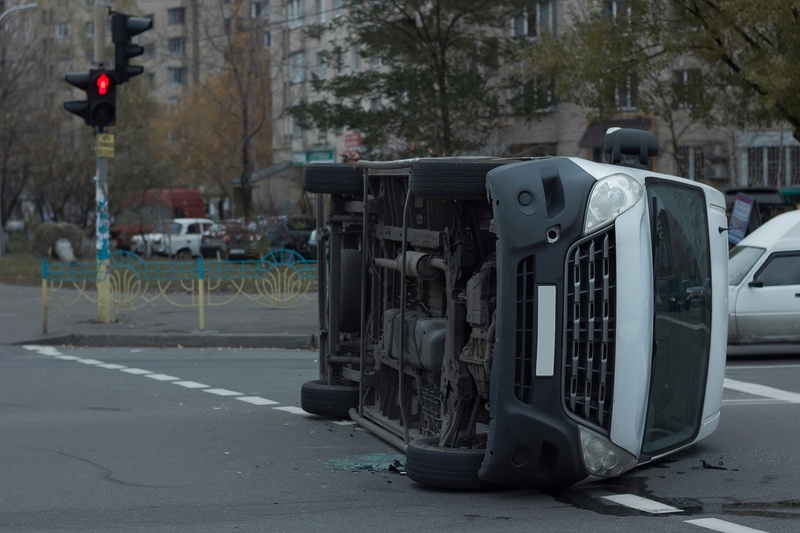 Call Emergency Services: When you are involved in a car wreck, always call the police. They will send a responding officer to the scene of the accident who will write a police report, document the accident, and provide a crucial piece of evidence if a lawsuit is filed. Along with a responding police officer, 9-1-1 will also send an EMS team if necessary to make sure that everyone gets the medical attention that they require. 2. See a Medical Professional: Even if the medical response team did not find an injury at the time of the accident, you should always seek the opinion of another doctor who specializes in car accident injuries. Not all car accident injuries are obvious right after the collision occurs, but can manifest into pain hours or even days later. Making sure that your injuries are treated properly and obtaining proper documentation of your injuries is crucial to your long-term health and any potential legal action. 3. Contact a Car Accident Lawyer: Once your injures have been treated, car accident victims are advised to speak with an experienced personal injury attorney for legal help. Personal Injury attorneys provide free consultations to the victims of car accidents and can determine whether or not you are eligible to receive financial compensation for your losses. 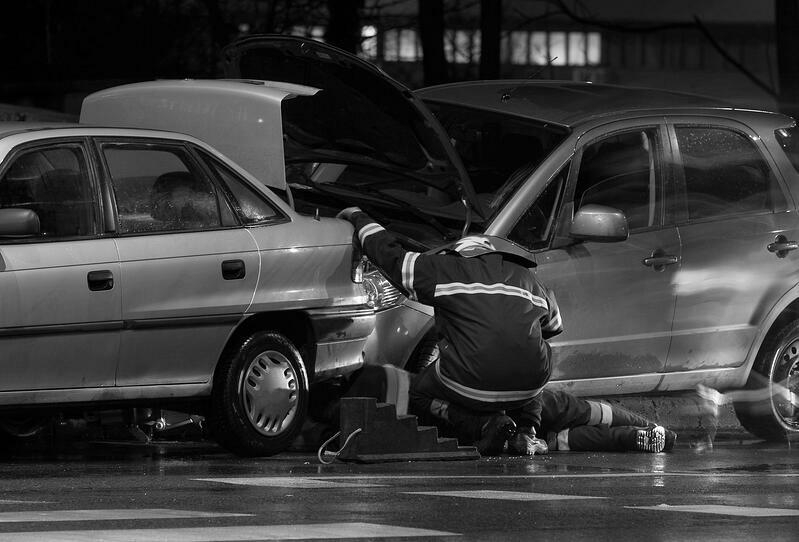 Car Accidents Injuries have the potential to cause short term or long term pain. Receiving prompt medical treatment could be a huge deciding factor in whether or not your pain is short lived or becomes chronic. The severity of your injuries will be a factor that determines the length of time it takes for you to recover. If you wait to seek treatment, you could delay the recovery process. At our Lantana clinic, it is our goal to provide the best medical care possible to help patients with their recovery. How Does Chiropractic Care Help with Car Accident Injuries? Chiropractic Mobilization - a Form of Chiropractic manipulation that is used to increase flexibility and strength throughout the network of muscles and tendons within the body. Pelvic Stabilization Drills - exercises and drills that target the pelvis and lumbar with the goal of strengthening the region, leading to a reduction in pain. Spinal Subluxation, Decompression, and Manipulation - carefully targeted pressurized thrusts and manipulation techniques that are used to restore range of motion, improve functionality, and reduce pain by correcting misalignments in the musculoskeletal system. Ergonomic Training - specialized training of patients in corrective posture methods and techniques that they can implement into their daily routines to increase mobility and wellness. Electrical Muscle Stimulation - the use of electrical impulses to force the muscles to contract in the same way that nerve impulses do. Chiropractic doctors will use a combination of the above treatments to reduce pain and correct misalignments in the spine. The we correct the posture of the spine, it helps to restore the body to its normal function without the need for pain medications or surgery. A thorough exam will be completed before the Chiropractor decides which techniques they will need to utilize for optimal recovery. If you were injured in a Car Accident in Lantana, FL, it is important to find the help of an experienced Chiropractor. At our Lantana Clinic, our Doctors have the skills and training to help the injured with a fast and optimal recovery. Do not wait to get help, click on the link below for a free consultation with our Car Wreck Chiropractors in Lantana, FL now!